The golf tournament was a family affair. 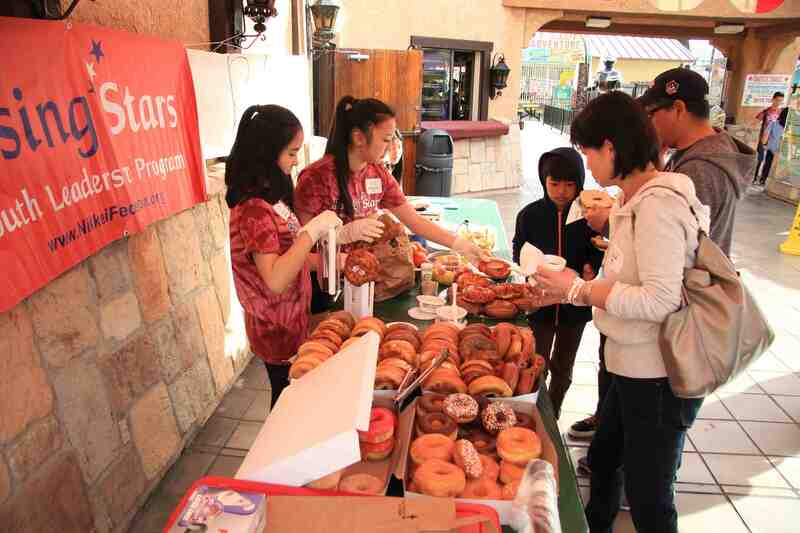 After going through a series of workshops that taught leadership skills and cultural values, Rising Stars 14 participants incorporated all the skills that they learned to host the 14th annual miniature golf tournament fundraiser on March 4 at Camelot Golfland in Anaheim. The ultimate goal of the tournament was to put the skills the students learned during the six-month program to raise as much money as possible for next year’s Rising Stars program. Funds were obtained through gaining sponsorships, selling raffle tickets, and corralling golfers to participate. Children and adults of all ages came out to support and compete, but there was a handful of golfers who took home prizes for placing in the top three. The winner of the children’s division was Aaron Abrams while brothers Kenneth Tabata and Kai Tabata placed second and third. Richard Chung topped the adult division, followed by Yuko Voyemant in second place and Nao Ikeuchi in third. “To be honest, I actually didn’t know that there were winners for each division. I was just aiming to beat my friends and have fun,” said Abrams. The raffle was held toward the end of the golf tournament, and while many supporters were lucky enough to win a variety of prizes, Belinda Okazaki, Karen Tanaka and Alysa Stone hit the jackpot as they secured the top three prizes in the raffle. Okazaki won the third-place prize of a gift card tree, Tanaka won the second-place prize of two Disneyland Park Hopper tickets, and Stone took home the grand prize of an Apple watch. 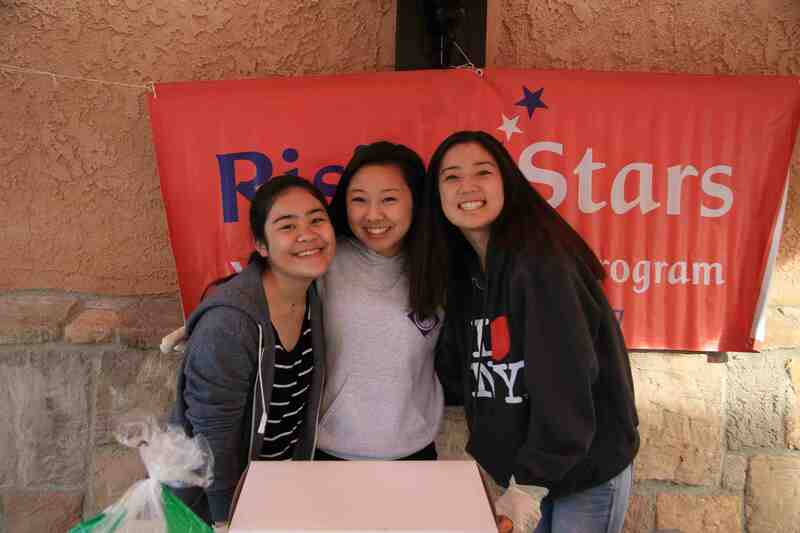 Janelle Doi and Kyla Kikkawa serve continental breakfast. Since the end of October, the Rising Stars program has been in full swing. By putting the participants through a collection of workshops taught by experts throughout the Japanese American community, participants gained skills and tools necessary to develop into passionate leaders who strive to serve the community. The students were divided into subcommittees that worked on publicizing the tournament, the logistics of the tournament, and creating the brochure for the tournament. Each subcommittee played a crucial role in the success of the event, but the students concurred that without the skills they learned from the workshops, the tournament would not have been as successful. They were responsible for getting sponsorships, golfers and donations for the raffle as well as running the tournament. The Raffle Committee selects winners. Junior Kara Makishi found heavy value in the teamwork workshop taught by Christine Itano-Cosner. “Being able to recognize how everyone functions differently [through the workshop]allowed me to appreciate what it means to work as a team. We were able to adapt to each other’s strengths and build up from there,” she said. The overall result of the golf tournament impressed many of the golfers, including Rafu Shimpo publisher Mickey Komai. “It is special for kids at this age to accomplish something that raises so much money. 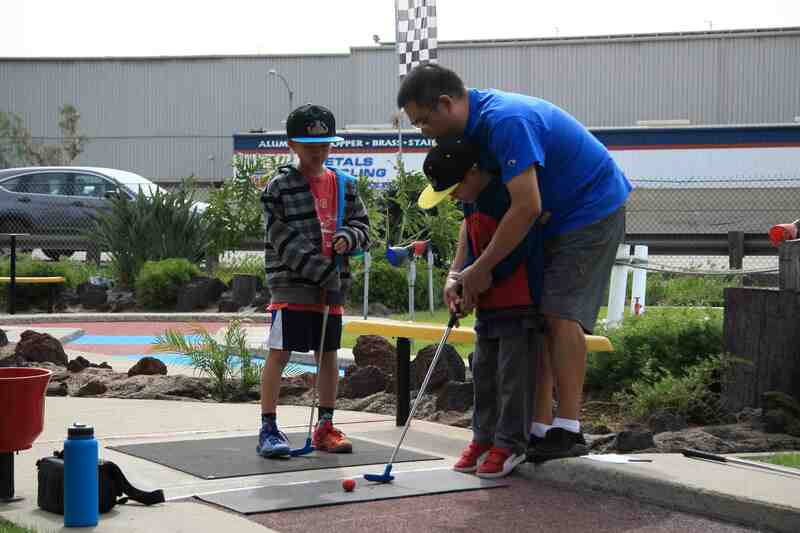 The kids do not have much prior knowledge of how to fundraise or organize a golf tournament, so the fact that they have the wherewithal to go out and solicit sponsorships and raise money for years to come is quite impressive,” he said. Breakfast crew members Kara Makishi, Janelle Doi and Kristin Hamamoto. 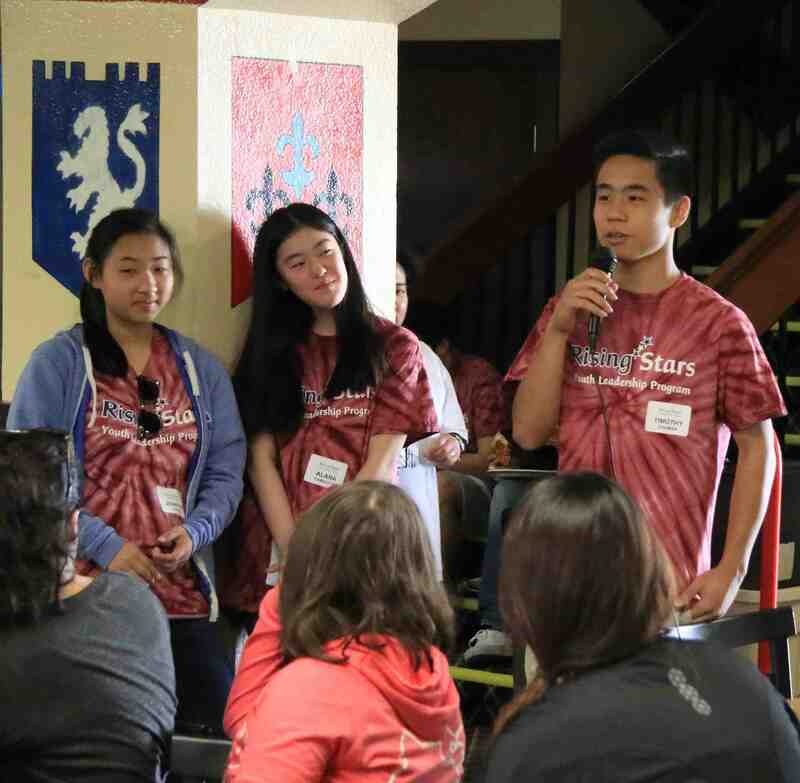 With young leaders like these, the future of the Japanese American community is bright. The Rising Stars Youth Leadership Program is a nonprofit 501 (c)(3) organization. The volunteer committee oversees the six-month program, which originated under the Nikkei Federation. The Japanese American Cultural and Community Center is the facility sponsor and the program takes place at its facilities in Little Tokyo. The Rafu Shimpo is the media sponsor and provides invaluable and generous support for the program. For information on the program, visit our website at http://risingstarsyouthleadershipprogram.weebly.com. Applications for the Rising Stars 15 (2017-18) program will be available in July on the website. Timothy Chuman is a sophomore at Mark Keppel High School in Alhambra. He has an interest in journalism and is a Yonsei Basketball alumnus.